Alright, now that we have that taken care of, what about these boxes that say 'Fragile, handle with care.'?" "Oh, just toss them over in the corner somewhere. We only hire the best at IKEA. 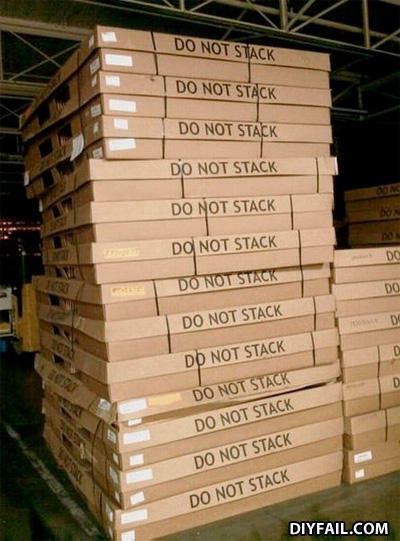 DO NOT STACKS DO NOT STACKS *stacks* I givs ups.